The time of Matrix has not come yet, which means in order to perceive information, it has to be read, felt and came to understand. As long as a good dress is a card of invitation, the Internet is not an exception. 100% unique content with interesting and original ideas receive the small return and a note like 10 man-made world’s miracles fly through the networks? 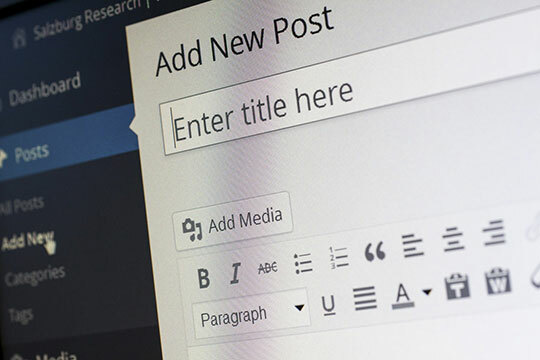 If you become irritated with it, you need to know the following tips on how to serve a dish called “cool content” in WordPress restaurant. Interestingly to know, they say that necessity in marketing appeared when the number of masters increased so much that comparing to the previous number it became not enough to simply produce some good product: cheese, wine, leather belt, etc. It was necessary to make it clear that the product is the best. 1. Divide a text into paragraphs. It is no longer in fashion to read voluminous monologues like in War in Peace. 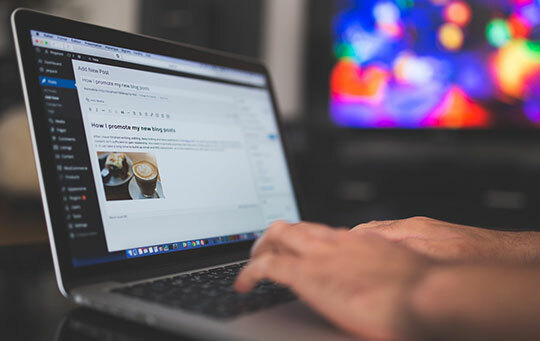 Most part of topics in blogs is entertaining, which makes it to where the delivery of information to a user should be highest possible simplified. At the average, it is recommended to create 4-5 sentences paragraphs. If there are less, it is going to be rather irritating while more is subconsciously frightening making to look through a text briefly instead of reading thoughtfully and it makes it to where the bigger part of the information is lost. Our brains are made so it takes the key moments out the whole piece of information and based on them we get the idea of whether a piece is worthy of being read or not. Which is why cross headings in the text is a composition`s element of paramount importance. The longer the article on the blog is, the more important tags like H2, H3, H4 become. 3. Get oriented on numbers. This article is called “10 tips…”. This is a fact that 5 and 10 are the most effective numbers. It is one of the mysteries of the Internet and the human mind. It attracts attention making readers read paragraph after paragraph, maybe even to put knowledge to practice right away even if you are absolutely unfamiliar with a topic. Say no to commonplace listing separated by commas. Such a decision will be of service in case a few differences from one another points of view or case scenarios are to present. At that numbered lists will do if some algorithm of an action is to be shown and bullet ones – in case of listing something. 5. Highlight a text with cursive and/or bold type. highlighting keywords and those phrases you want to attract a reader`s attention to. to highlight the first sentence of each new paragraph. It works well especially in cases when due to some reasons you decided not to use a bullet list. in order to emphasize books titles, movies, TV-series, foreign citations, citations in cross headings, etc. Many beginning bloggers have no idea about completing citations by means of Blockquote option. One may also emphasize especially important moments out of an article, which is to be remembered. Interestingly to know that a special free plugin Click to Tweet will allow to re-post your citations to the Twitter social network. A very convenient thing! Pick exotic variants only if it is related to the style of the blog. Color is important. Black or dark grey is like a little black dress: it is always in fashion and fits on any occasion. Right choice. The too large shift is going to be looking silly and irritate, too small is going to be not readable and make many readers of your blog leave from the very beginning. Variety of different shifts makes a blog not cohesive, which is why it is better to choose 2 or 3 shifts you are to use on a regular basis. You may also like: Building a Professional WordPress Website Using a Free Theme (without Coding). 8. Put the content of the article at the beginning. If there are 4 000 symbols in a text, it increases a risk of an average user to miss an article in search of “lighter” content. Neither cursive type nor cross headings will help. In case you put the content at the beginning of your publication, it will make it easier to receive a required information faster. The way a blog looks like plays a great role too. It is needless to say. If it looks good, it increases the chances of a visitor to stay longer and actually read what is posted. In order to attract a big audience, one should be in fashion and aware of the trends. No ups and downs. If a line of minimalism is chosen, keep it up. Aesop Story Engine plugin would be in handy here. There are both free and paid versions. Galleries, stylish parallax-effects, full-screen title images are not a full list of features, which are to make your blog better. Divi Page Builder plugin works on the same scheme. 10. Trust, but check you must. A blog reflects a person`s individuality. It means that there can be no universal tips on how to do right. What one blogger likes some other might not. This is the problem and the delights of work upon a blog: you test and decide what to remove. There is one piece of an advice, which always work. Google Analytics is your main orienting point in an uneasy soul searching. This article is written by Melisa Marzett. For those who had no chance so far to get to know a brilliant young and talented author, writer and blogger Melisa Marzett there is a great opportunity to do so through reading her wonderful content on getessayeditor.com and other blogs she was writing for. Her way of thinking and writing style are simply amazing. Once you get to look through her pieces, you will never forget what your eyes came across due to uniqueness and excellence of her works. I really like the topic onto which you have written the complete article. However, I had a hard time while reading it and could not finish it. Although I did not find any grammatical mistakes, there are many run-on sentences which make it difficult to understand your writing. I think this problem could have been resolved, had you edited it before posting. Please work on it.